I first got switched on to foam rolling a couple of years ago when I began working with a coach. He was insistent that I stretch thoroughly after every session and suggested the foam roller as a good way of working on tight IT bands, the muscle that runs down the outside of the leg to the knee which can cause knee problems. James told me that stretching and rolling doesn’t actually increase the length of muscles but it does help prevent them from shortening due to tightness and it’s tightness that can cause all sorts of problems for athletes. Once I’d got into the habit of training hard, stretching and foam rolling became important to me, both for assisting with injury prevention and for helping me recover from tough workouts through self-massage. I found it very beneficial and therapeutic. I began just using a generic foam roller that I bought from Amazon that worked just fine, however wanted to try a smooth surfaced roller as I felt it would be better for working on specific areas – I felt the ridges kind of ‘hopped’ over knots I wanted to release. 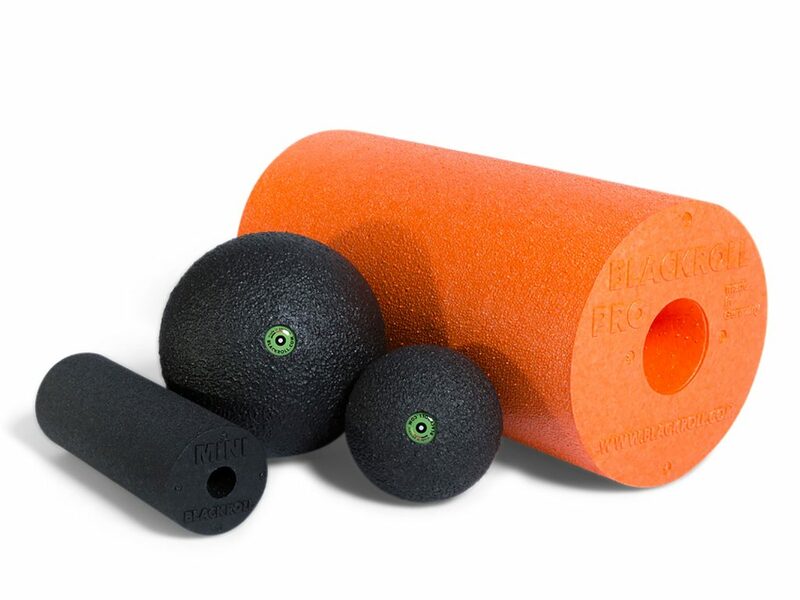 I was also interested in finding some new shapes that could help with tightness in my glutes, back and hips, so Blackroll’s products caught my eye. Blackroll have been manufacturing in Germany since 2009 using fully recyclable, chemical free materials and an environmentally friendly process. I received a variety of products, all manufactured out of the same ultra lightweight yet robust substance – imagine polystyrene packing foam made ultra tough. When you first begin using foam rollers it can be pretty painful but if you stick with it you’ll find it gets a lot easier. 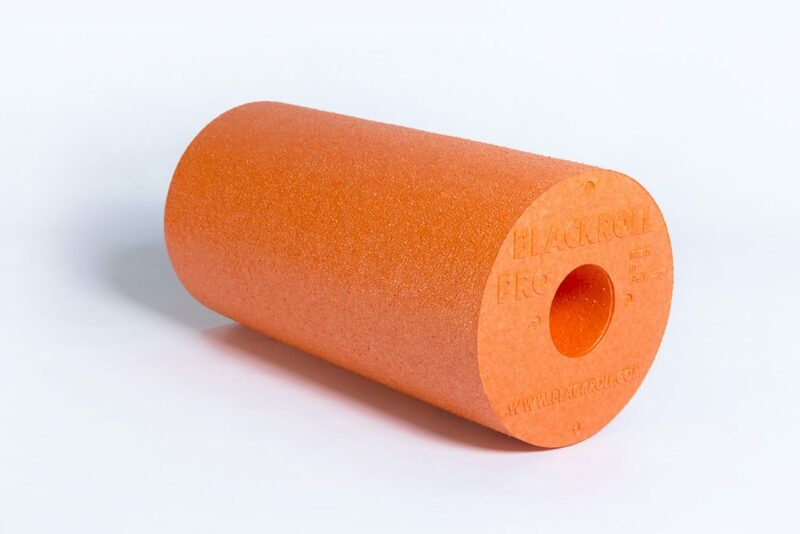 I’ve now been using one for around a couple of years so for that reason I selected the Blackroll Pro as it’s 50% harder than a standard Blackroll roller. Like all their products, it’s light, bright and easy to clean and at 30cm long is big enough to use effectively on your thighs but portable enough to chuck in your bike bag when travelling. As I suspected, the smooth, firm material works wonders on tired quads and after much use over the last few months the roller has kept it’s shape and not squished in the middle. All in all it’s a useful piece of kit that I turn to daily – it lives near the TV so when I’m wasting time on Netflix I can double up and actually do myself some good. By far my favourite Blackroll product is called the DuoBall – it’s absolute heaven if you get a sore back like I do. 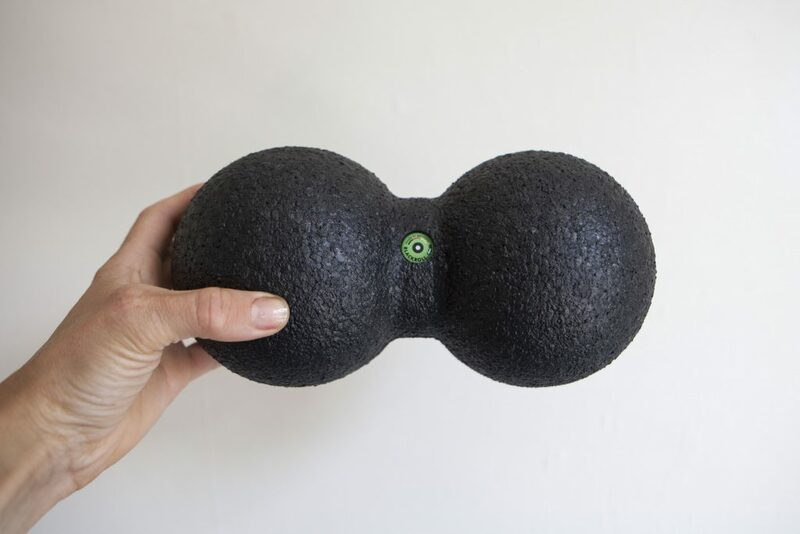 Designed for massaging parallel muscles, essentially, it’s two massage balls joined together. I’ve been using the large version (12cm, where the two sides are just the right size and width apart for you to roll up and down the muscles on either side of your spine, giving sweet relief after a bike ride. I find using the DuoBall awkward but very much worth it. Basically, you position it on your lower back and then move your body forwards and backwards allowing the device to roll up and down your muscles without touching your spine. The reason it’s awkward is that you have to use your abs to keep the rest of your torso, neck and head off the floor whilst you balance on the DuoBall and it can actually be a bit of a strain when you’re really tired. I’ve not found any other way of relieving back pain and tightness that’s remotely comparable, or at least not anything you can do yourself without outside help. One thing I’ve found that really helps me deal with my back problems is massage but obviously, I can’t afford to have them all the time. The DuoBall makes a good alternative and is now part of my maintenence routine.